To find out our pricing to other destination in Indonesia, please contact us. How do I get my free boxes? We'll deliver the free boxes* (up to 10 boxes) to you. Surcharge applies if you are outside of 30km radius of Melbourne / Sydney CBD. What is the maximum weight for one box? Maximum weight is 25kg per box. If it's heavier than that, you'll risk the structure of the box which may result in breakage. Do you price match your competitors' rates? No, but we're more than happy to explain to you why in more details personally. What are the restrictions with air freight? Since we don't make the rules, please check with Australian Government's Civic Aviation Safety Authority for more details. Are there things that I cannot ship? Leave us a message, and we'll deliver your new boxes to you free of charge*. Surcharge applies if it is outside of 30km radius from Melb/Syd CBD. 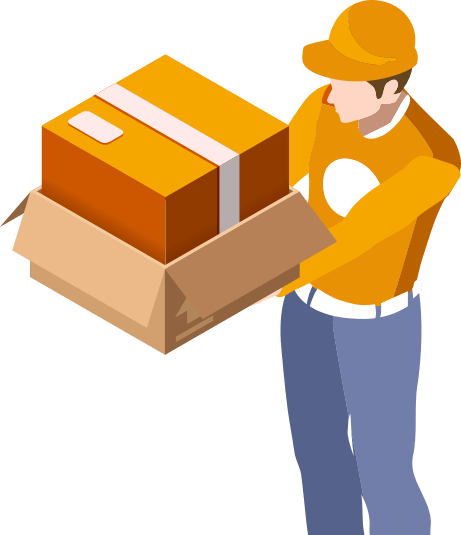 We'll come to you to pick up your packed boxes, plus we'll ensure your boxes are properly packed & labelled, and we'll weigh your boxes on the spot to so that you know how much exactly you're paying.